On this day 1971, rapper Tupac (2Pac) Shakur was born. Did you know that there is a drink cocktail called the “Tupac Shakur” that includes Heineken beer, Hennessy Cognac, and Grand Marnier. Yikes! If you are daring enough to give it a shot (no pun intended), then here is the recipe. 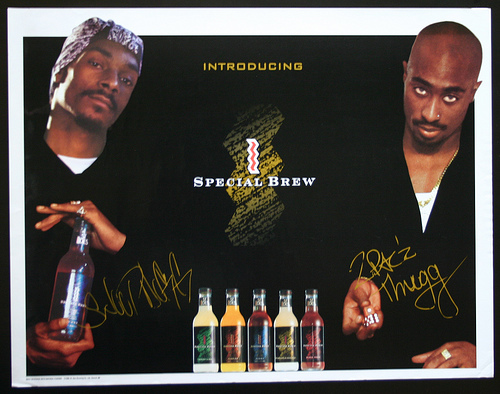 Tupac also teamed up with Snoop Dog to promote a Malt Liquor Beer, named “St. Ides Special Brew,” manufactured by Pabst Brewing Company.